The porthole clock of the WEMPE REGATTA Series is 140mm in diameter and available in different editions, each equipped with a battery-powered quartz movement. 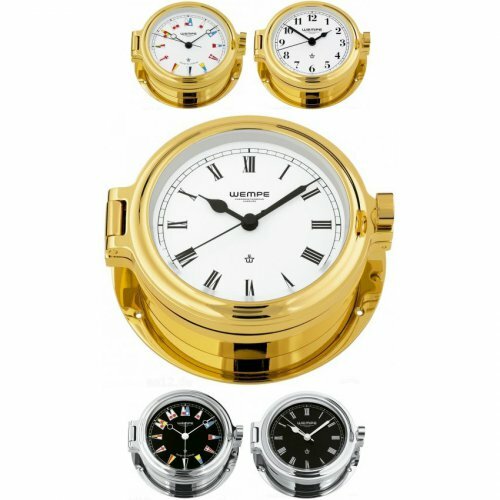 Choose between the high-gloss polished chrome plated enclosure with matt black clock face and a high-gloss polished gold plated enclosure with white clock face. 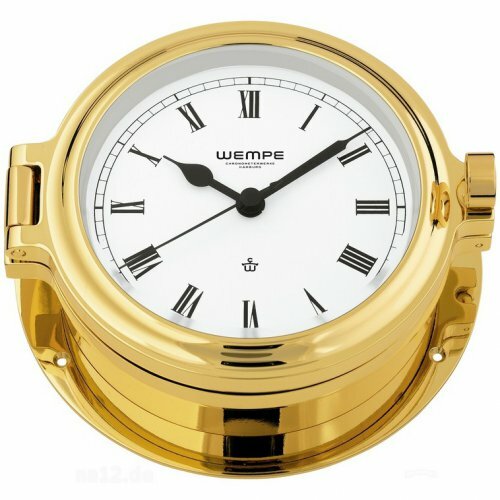 Moreover, both editions can be ordered with a CORUM flag clock face or Roman numerals, the golden enclosure can also be combined with Arabic numerals. 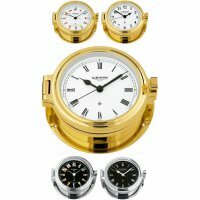 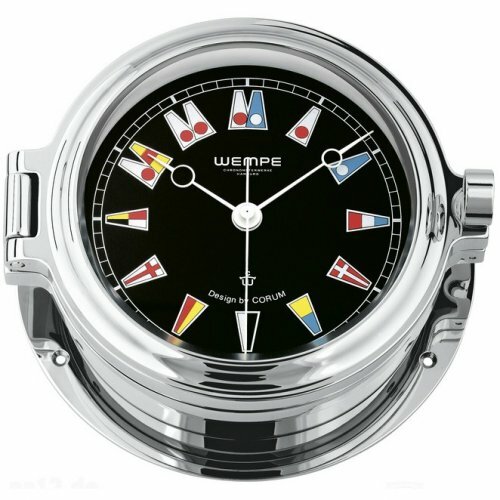 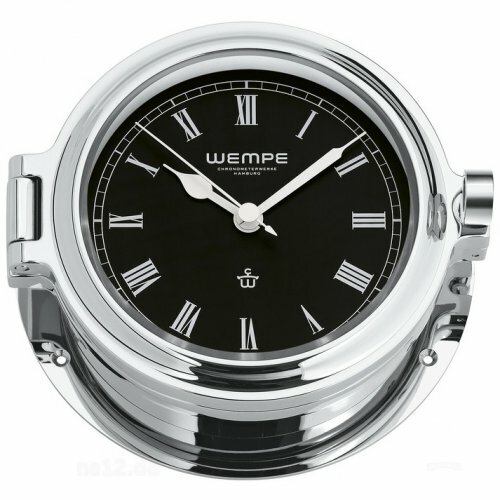 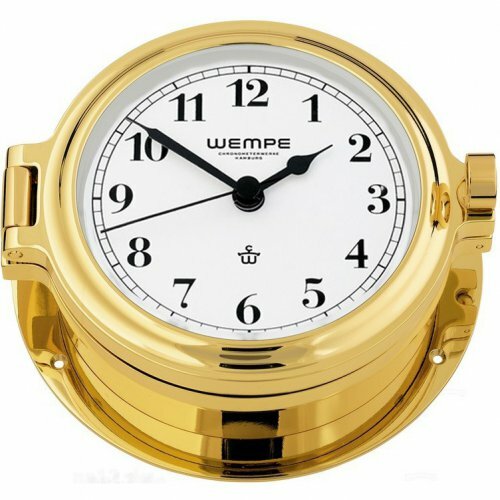 For quick and easy battery exchanges the WEMPE porthole clock REGATTA was designed with a toggle clasp - the simple opening mechanism of the decorative ship clock is also convenient for readjustments.